【glimmdoll】Herbarium / prism 001-008 3,780円 SOLD OUT !! 【glimmdoll】Herbarium / skittle 001-009 3,240円 SOLD OUT !! 【glimmdoll】Herbarium / columnar 001-009 4,320円 SOLD OUT !! 【Ambivalent.】ｺﾗｰｼﾞｭ転写 long wallet / 17SS-A 19,440円 SOLD OUT !! 【Ambivalent.】ｺﾗｰｼﾞｭ転写 long wallet / 17SS-B 19,440円 SOLD OUT !! 【虚構ﾒﾙﾍﾝ × Ambivalent.】necromance / bear 15,120円 SOLD OUT !! 【Ambivalent./glimmdoll】graphic collage / 57mm-badge / No.01〜24 430円 SOLD OUT !! 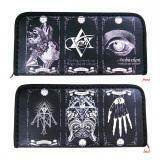 【Ambivalent.】necromance / ﾊﾟｯﾁﾜｰｸﾌｰﾄﾞ付ｽﾄｰﾙ 16,200円 SOLD OUT !! 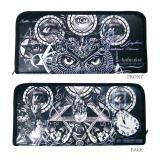 【Ambivalent.】necromance / ﾘﾎﾞﾝ装飾ﾍﾞﾙﾄ 5,400円 SOLD OUT !! 【glimmdoll】ｺﾗｰｼﾞｭ転写長財布/A 19,440円 SOLD OUT ! !